We know, you think it’s unfair. Car insurance for young drivers has higher rates. Although there are good reasons for that, 20- and 30-somethings can still save on auto insurance quotes. Insurance companies base rates on factors related to risk, including how much you drive, where you live, what kind of car you drive and, yes, how old you are. Put simply, young people get into more accidents. Drivers who are 21 to 24 are 40% more likely to get into an accident than 25- to 34-year-olds. And 25- to 34-year-olds are 25% more likely than those age 35 to 44, according to the most recent report from the National Highway Traffic Safety Administration. You can’t control your age and you probably aren’t going to move to a cheaper ZIP code just to save a few bucks, but you can do something about other factors that go into your auto insurance quote. How much you drive: Taking transit, walking and riding your bike are better for the planet and your health anyway. If you reduce your daily commute, tell your agent so that you can save money. What you drive: Your bill generally will be higher for large SUVs and sports cars than for other vehicles. Small SUVs and minivans are generally the cheapest to insure. NerdWallet recently found a spread of nearly $300 a year in average insurance cost among the 10 top-selling cars. How you drive: Moving violations, accidents and claims will drive up your rates. Your coverage: Liability insurance is meant to protect you financially if you cause a large accident. If you have few assets, you may not need a lot of liability coverage, the National Association of Insurance Commissioners advises. Drivers with assets are more likely to be sued and therefore need more liability protection. In addition, collision and comprehensive coverage might cost more than the value of your clunker. You can also save money by raising your policy’s deductible amount, although that means you’d pay more if you have a collision or comprehensive claim. Insurance companies might reduce your auto insurance quote if you take a defensive-driving course. And students with good grades might qualify for good student discounts. If you really think you’re a better driver than the average person your age, consider usage-based insurance policies, which give discounts based on your actual driving habits. Esurance’s DriveSense program, for instance, provides discounts that average 10% but could be as much as 30%, depending on how much you drive and when, sudden acceleration and hard braking. Progressive’s Snapshot program, Allstate’s Drivewise and State Farm’s Drive Safe & Save are similar. 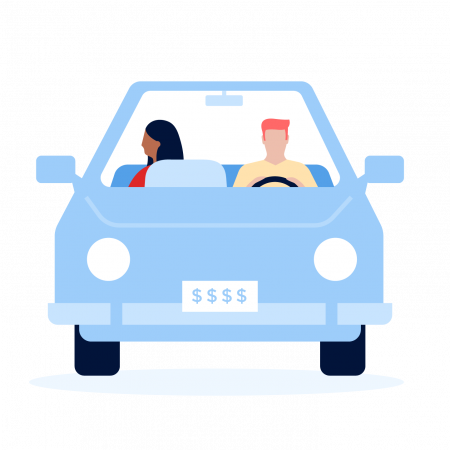 Startup Metromile — available in California, Illinois, Oregon and Washington — has a base fee, plus a per-mile rate. One’s 20s and 30s often hold big life changes, so remember to revisit your insurance limits every year. You may need to boost your coverage as you make more money and buy pricier cars. If you get married, your insurance company should cut your rate, because statistics show that married people are safer drivers. Also, put some thought into how you merge your auto insurance policies. And once you have kids, you may even be ready to succumb to that cheap-to-insure minivan. Aubrey Cohen is a staff writer covering insurance and investing for NerdWallet. Follow him on Twitter @aubreycohen and on Google+.